WESTliving, the organization that operates the senior living community that I manage, is a private family business founded through the efforts of Gary and Mary West. The Wests are also philanthropists and committed to successful aging. They have established a nonprofit institute that funds research into successful aging and develops solutions to support seniors and their quality of life. The Gary and Mary West Health Institute recently shared some interesting findings regarding our perceptions of aging. Their study showed that the things that concern us most about aging remain stable throughout our lives. People’s fears about don’t differ much regardless of what generation they’re from. What that means to you, if you have aging parents, is that they’ll likely have the same concerns as you and your Millennial children. That should be comforting. It means you’ll all be able to find common ground in conversations about maintaining your parents’ quality of life as they age. The study found that memory loss, financial security and health issues are the top three concerns across all generations, followed closely by worries about losing independence or having to move to a nursing home. Another interesting finding was that people in their 30s through 50s have a negative perception of whether government programs meet the needs of seniors, whereas seniors who have been exposed to the programs feel more positively about them. This should also come as a relief to adults with aging parents as it indicates that a little more awareness could go a long way toward easing worries about the services and programming available to their parents. Researching options for our aging loved ones should bring relief as we become more informed about the variety of programming available and can advocate for their unique care needs. Ensuring a stable environment from a financial, health and emotional perspective is essential, as is privacy and accessibility to activities that respect independence needs. 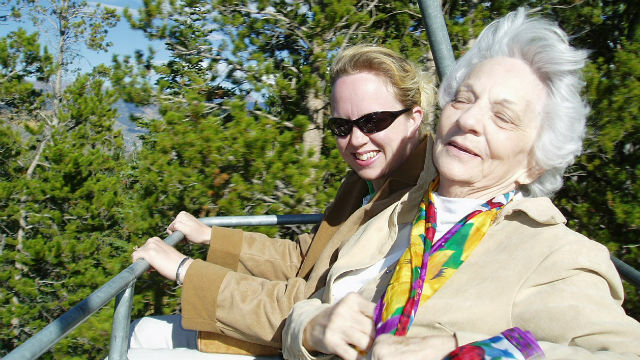 When we commit to helping our elderly loved ones live their lives to the fullest—what we call inspired aging—we focus on creating opportunities to be mentally, physically and socially engaged and emphasize independence. It sounds like common sense to us, but it helps to see research confirm it. The study was conducted by the West Health Institute and NORC at the University of Chicago and can be found online. Joey Collado is the General Manager at The Montera, a San Diego County senior living community offering independent, assisted, memory, dementia and short term stay care.